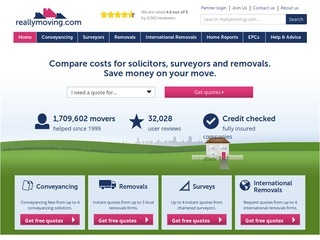 Launched in 1999, Really Moving offers home moving services in the UK. The website offers instant quotes for all kinds of home moving services including conveyance, surveys, removals, energy performance certificates and home reports. The company offers free quotes and continuously monitors the performance of its associates. In addition it also offers tips and advice for those looking for relocation.